The Capricorn New Moon happens January 9th at 6:30 pm MST at 19 degrees Capricorn 13 minutes. Here’s the Chart: CapricornNewMoon2016. The Seagoat symbolizes humanity’s evolutionary journey from our humble origins deep in the sea to the highest mountaintop. The goat’s sure-footedness ensures a successful climb whether it be to the top of a mountain, a business or society. Accordingly, Capricorns often achieve success in life even though it typically requires many, many years of hard work, discipline, responsibility, self-determination and sacrifice. Not surprisingly, this sign reflects the natural process of maturity, especially emotional maturity. 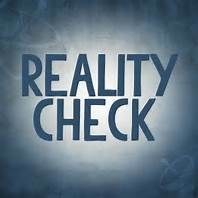 Corporate CEO’s, bankers, politicians and academic, scientific and religious leaders all reflect positions of social status. Capricorns are natural leaders and when they are evolved, they wield the power of their authority for the good of everyone, not just their own personal ambitions and self-interested goals. Un-evolved Capricorns often believe that ‘the ends justify the means’ which is really just a rationalization for allowing personal ambitions to undermine honesty and ethical behavior. 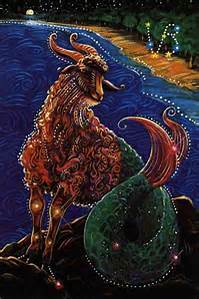 When Capricorn misuses personal power or authority, it inevitably co-creates a ‘fall from grace’ resulting in the loss of the very positions of prominence, social status and reputation it worked so long and hard to achieve. A classic example of un-evolved Capricorn expression was Nixon and Watergate. Nixon’s Pluto (Soul path) was in his 10th house, the house naturally associated with the sign Capricorn. 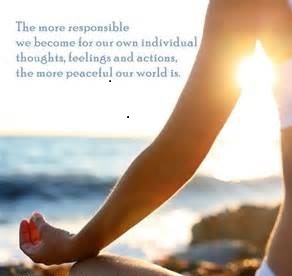 All of us must learn self-responsibility. From a spiritual evolutionary point of view, Capricorn teaches us to take complete responsibility for ALL of our actions, choices and decisions. We are ALL responsible for EVERYTHING we experience. Indeed quantum science has proven this to be true discovering that consciousness not only influences but actually creates our realities both individually and collectively. Once this crucial lesson of self-responsibility is learned, our attention shifts from WHAT happened and who’s to blame, to WHY our Soul co-created that particular experience in the first place. Blame assigns responsibility to someone else, revealing a consciousness rooted in victimization. Self-responsibility is the hallmark of spiritual maturity. Saturn rules this New Moon. Saturn is conjunct Venus in Sagittarius now, combining the need for greater responsibility with much more effective utilization and management of resources and a more mature attitude towards relationships of all kinds. Saturn’s restrictive influence has been starkly evident as global stock markets had their worst opening week in a new year in two decades. Concerns over the Chinese economy, the value of the renminbi and the policies of Chinese financial authorities sent out a series of shock waves. More than $2.3 trillion was wiped off the value of global stocks for the week. Markets in the U.S. had their worst opening week ever as shares closed down about 1 percent on Friday, after falls in Japan and Europe, with the German Dax index posting its biggest loss since 2011. The Dow lost 6.19 percent in value for the week, the S&P 500 was down by almost 6 percent, and the high-tech-based Nasdaq composite index fell by more than 7 percent. We all have personal needs and values that reflect what’s really important and meaningful in our lives. Venus and Saturn are reminding us that we all have a responsibility to ourselves and to each other since we are, after all, one human family. We also have a responsibility to use and share our planet’s limited natural resources much more wisely. The contraction of resources worldwide since the global economic meltdown of 2008 continues and is even somewhat emphasized now by Venus and Saturn. Interestingly, 2008 is when Pluto first entered Capricorn (restrictions, limitations). It will remain in Capricorn until 2025. And while we are approaching the halfway point of Pluto’s transit through this sign, 2016 will reflect a culmination of sorts of events that began in 2008. This is because 2016 is a ‘nine’ year. Numerologically, nine is the number of completion. Additionally, 2016 is the 9th year following 2008! Saturn, the planetary ruler of Capricorn, is currently transiting through Sagittarius (December 23, 2014 to Dec 20, 2017). As it does so, humanity’s collective attention is focused on a search for greater truth and understanding. Sagittarius rules our beliefs and belief systems like faith traditions. As Saturn squares Neptune in Pisces throughout most of 2016, old beliefs, old paradigms and old systems will dissolve. As this occurs, Saturn’s square to Chiron in Pisces can either reflect a re-imprinting of a sense of victimization as old ways lose their meaning, or the wisdom of acceptance, compassion and forgiveness that can lead to healing and wholeness. Saturn is also moving in and out of a square aspect with Jupiter in Virgo. And beginning in August this year, Saturn will square the Nodes of the Moon reflecting many serious and important choices and decisions related to health and wellness, work and career issues, matters associated with authority and authority figures and all manner of things associated with responsibilities. If you’re really committed to ‘doing the work’ then rewards should be in the offing when Jupiter stations direct in early May. Combining forces with Jupiter and the North Node in Virgo, Saturn can provide all the support, determination, motivation, discipline and commitment necessary to steadily move forward with any and all efforts to self-improve. Perhaps you need additional training to move forward with your work or maybe you need to finally get serious about your physical health and emotional well-being. Remember that Virgo succeeds by moving forward one step at a time. Don’t get ahead of yourself. And for heaven’s sake, don’t judge yourself for falling short on any given day. Just get up the next day and try your best once again. Altogether, Saturn, Neptune, Chiron, Jupiter and the Moon’s Nodes are involved in what astrologers call a ‘Spiritual T-Square’ aspect. As our search for truth expands with Saturn moving through Sagittarius, so too can our spiritual development accelerate as Neptune moves through its own sign of Pisces. With Saturn also ruling maturity and self-responsibility, Sagittarius ruling personal truth, honesty and conscious beliefs, Neptune and Pisces ruling spirituality, universal truths and unconscious beliefs, and Virgo ruling crises, self- improvement and healing, in totality, this T-Square is reflecting the growing and urgent need for a collective reality check! What’s true? What’s NOT? What’s real? What’s NOT? Who’s taking responsibility and who is NOT? Who’s being honest and who is NOT? Interestingly, Neptune and Pisces also rule water. As Saturn (limitations) squares Neptune one really important and crucial reality coming into a sharper focus is the fact that climate change, environmental pollution and overuse of resources are ALL contributing to water crises the world over. Investors already know that water is the new gold. Saturn’s square to Neptune is reflecting water crises across the planet. Haiti is a classic example. As the poorest nation in the western hemisphere, Haiti has to deal with issues of water scarcity on a daily basis. According to one recent study, only 55 percent of the population has access to an improved water source, while close to 70 percent don’t have direct access to potable water. Haitians often resort to gathering water from ‘garbage-filled’ rivers to supply their households with water for their daily needs, including cooking and drinking, when water becomes too expensive or when they don’t have access to a clean water source. Access to clean, fresh water is a main concern where waterborne illnesses, such as typhoid, cholera, and chronic diarrhea, are the cause of more than half of Haitian deaths each year. Neptune’s association with infectious diseases raises the stakes there considerably. 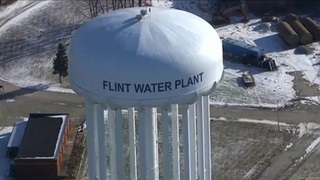 Another water crisis just occurred in Flint, Michigan where residents were told over and over again not to worry about the City Council’s decision to switch the city’s water supply from the city of Detroit to their own Flint River in order to save money. Now state and city officials are desperately seeking federal assistance to help resolve dangerously high levels of lead contamination in their drinking water after millions spent in repairs and upgrades to existing water treatment systems have failed to remedy the dire situation. Scientists have determined that the highly corrosive water from the Flint River is leaching lead from the municipality’s aging water pipes. For sixteen months, as Flint residents told the state again and again that their water wasn’t right and independent researchers meticulously documented rising lead (Saturn) levels in water and in the blood of Flint children, the state disparaged and discredited the work of respected scientists, even as its own data supported those findings. The citizens were telling the truth but were not believed by state officials. For sixteen months, state and local officials ignored reality and refused to take responsibility for the consequence of their decisions, choices and actions. Flint’s aging water (Neptune and Pisces) pipes aren’t the only thing dissolving (Neptune and Pisces). Many old realities (Saturn) are dissolving (Neptune and Pisces). In turn, our beliefs (Jupiter and Sagittarius) must and will change and transform which of course will alter the quality of consciousness that co-creates our realities. And as Saturn continues to move through Sagittarius, squaring Neptune, Chiron and Jupiter, delusions, lies, distortions and deceptions will increasingly be revealed and exposed. This celestial influence couldn’t be more timely since the U.S. is in the midst of a Presidential campaign season this year! Mercury and Pluto join the Sun and Moon in Capricorn in the New Moon chart pattern reflecting the awesome power (Pluto) of our minds (Mercury). With Mercury retrograde nearly all month, there’s no better time to deeply review and thoroughly reflect upon our thoughts and beliefs. 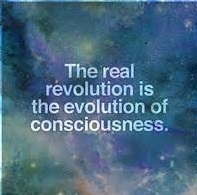 Its time to take greater responsibility for the quality of our consciousness and what we’re co-creating. There is no better time to let go of old thoughts, ideas, opinions and perspectives that simply aren’t working or no longer serve your growth and well-being. Due to its retrograde motion, Mercury will spend nearly two months in Capricorn instead of its usual two to three weeks in a sign. As it slowly moves through Capricorn, expect important messages and serious information exchanges of all kinds. When Mercury retrograde reaches its halfway point on the 14th, insights and AHA moments are likely to begin occurring. Greater understanding may also come as Mercury stations direct (resuming forward motion) on the 25th. So pay very close attention to the kinds of information coming your way now. That information, whether factual or intuitive, is likely to be much more meaningful to your evolutionary path than usual. Pay particular attention to messages that offer insights, direction and understanding about career issues, parenting or parental concerns, or any other matter you feel responsible for and be sure to follow up with actions on those messages. The Sun, Moon and Pluto in Capricorn are also square Uranus in Aries symbolizing tremendous breakthroughs in science and technology. Just yesterday, I learned about a new (Aries) fitness technology (Uranus) app that was literally described in the following way: “This app harnesses the power (Pluto) of data (Mercury) to support and enhance greater personal well-being (Virgo).” I expect many more revolutionary inventions, discoveries and breakthroughs to occur as Uranus in Aries continues its extraordinary ‘once-in-a-lifetime’ connection with Pluto in Capricorn and hooks up with Jupiter in Virgo in the coming months. Virtual ‘reality’ anyone? Talk about Saturn (reality) square Neptune (fantasy, illusion)! The Aquarius New Moon is on February 8th at 7:39 am MST! Copyright 2016. Donna Lee Steele and Threshold Consulti6ng. All rights reserved. This entry was posted in Planetary Events, Uncategorized. Bookmark the permalink. Thank you, Donna, for always enlightening us.